#2 Mansfield, 64 vs. #5 Newton North, 74 – Final – Click here for a recap of this game. #3 Franklin, 61 @ #1 Wachusett, 60 – Final – Click here for a recap and photo gallery of this game. 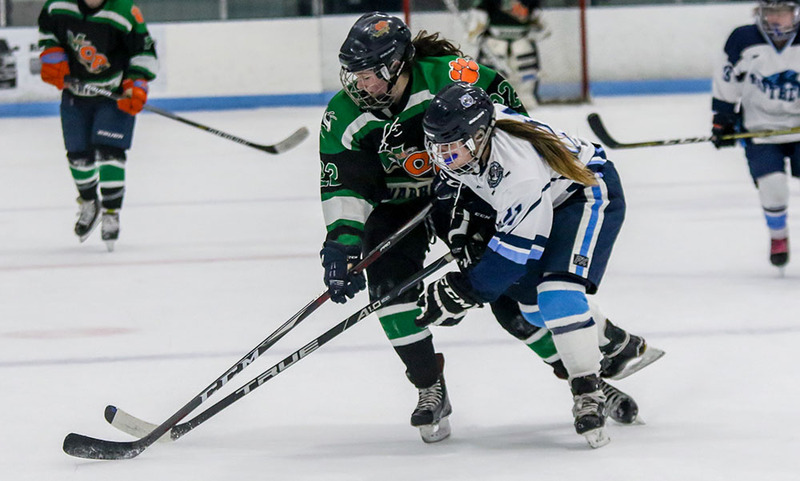 #5 Franklin, 2 @ #4 Andover, 5 – Final – Franklin and Andover traded leads in the first and second periods, but the Warriors scored three unanswered in the final period to get the win. Cassi Ronan put Franklin ahead with a goal in the first period but Andover scored two straight to begin the second to make it 2-1. Ronan scored her second of the game to knot it 2-2 after two periods. Andover scored a shorthanded goal in the first minute, added a fourth midway through the third, and iced it with an empty net goal.